The next upcoming Friendship Day is on Sunday August 4th, 2019. Friendship Day is an international holiday celebrating friendship. It occurs on different dates in various countries. In the United States it is observed on the first Sunday of August. 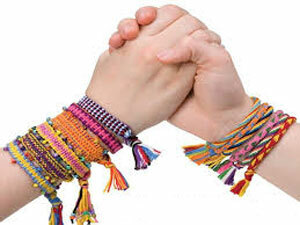 Friendship Day is a time to celebrate friendships by spending time together, sharing friendship day quotes, giving of friendship bands, gifts, and cards. It is widely celebrated on social networking sites online. The commercialization of this day have caused some people dismissing the day as a "marketing gimmick." This observance was invented by the founder of Hallmark cards, Joyce Hall, in 1930. It was intended to celebrate friendships by sending cards. The United States established Friendship Day on the first Sunday in August in 1935. Winnie the Pooh was named the world's Ambassador of Friendship at the United Nations to honor Friendship Day in 1998.